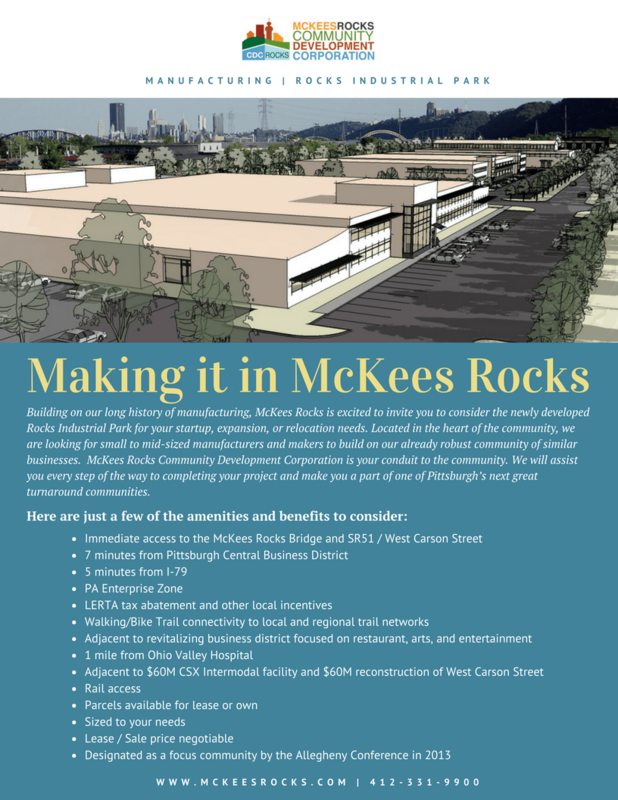 After a decade of effort led by MRCDC, On June 20, 2011, the U.S. EPA announced the launch of the redevelopment of the former P&LE Railroad brownfield site in McKees Rocks, Pa. The EPA has provided funding for the environmental assessment of this site – the first step in redeveloping the site for future business investment. Trinity Commercial Development, LLC , the redevelopment contractor for the site, has acquired the parcels necessary to begin redevelopment. The P&LE Railroad brownfield site is a flat, 52-acre property located five miles west of downtown Pittsburgh within the state-designated Ohio River Towns Enterprise Zone and is also in a U.S. EPA environmental justice community. 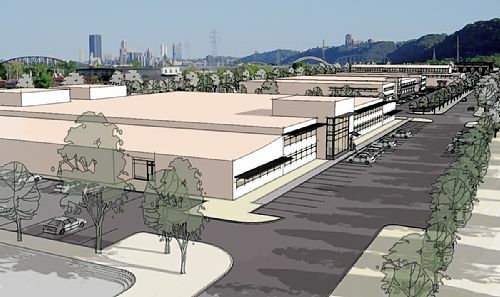 The 461,370 SF proposed McKees Rocks industrial development includes rehabilitation of 75,896 SF of existing building space and 385,474 SF of multi-building, new construction. The existing buildings are designed for heavy industrial use. Additional potential uses for the site include wholesale, office, warehouse and manufacturing. 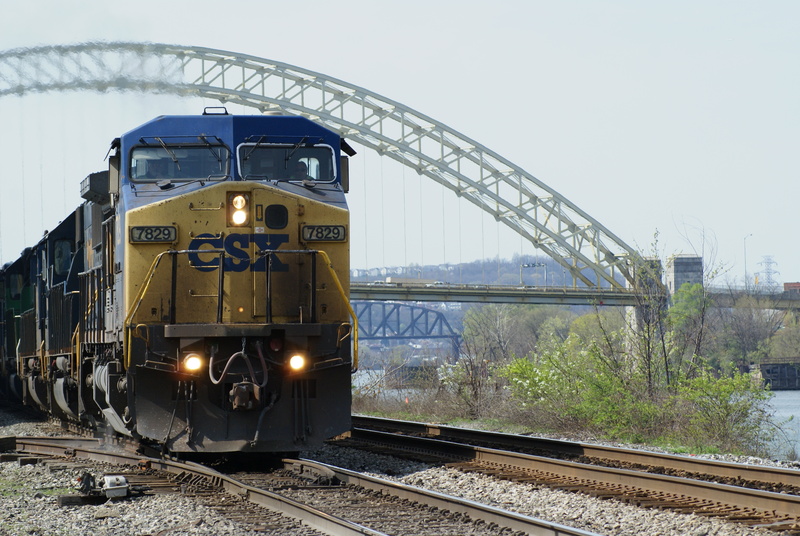 In October of 2013, CSX, a national leader in shipping services, announced the former P&LE Railroad site as the Pittsburgh location for an Intermodal Facility. The project creates transportation saving opportunities by giving western Pennsylvania shippers direct rail access at this freight transfer site. The facility will be part of an $850 million national project to clear a passage for double-stack trains and will allow for Western Pennsylvania to be a vital access point for transportation, improving the region’s economy. In fact, at their Annual meeting on November 6th, the Allegheny Conference on Community Development named the CSX intermodal facility as one of three big regional wins for 2013.During construction, this project will create 360 jobs. Once operational, the facility will support approximately 40 on-site jobs, 40 drayage jobs, and 100 indirect jobs throughout the region. 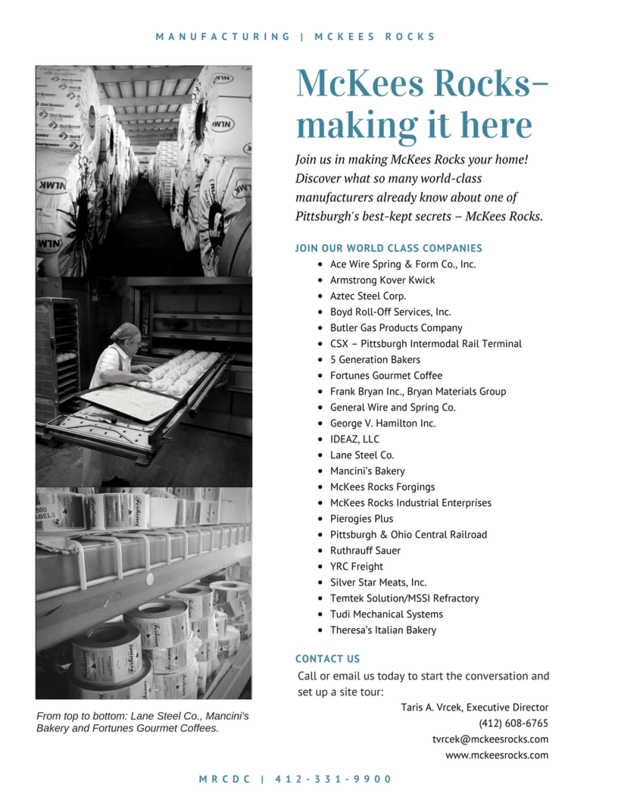 Beyond what it means for Southeastern PA, the facility promises to have a greater catalytic impact for McKees Rocks and Stowe Township, helping to accelerate investment in the adjacent Rocks Industrial Park and Lower Chartiers Avenue.